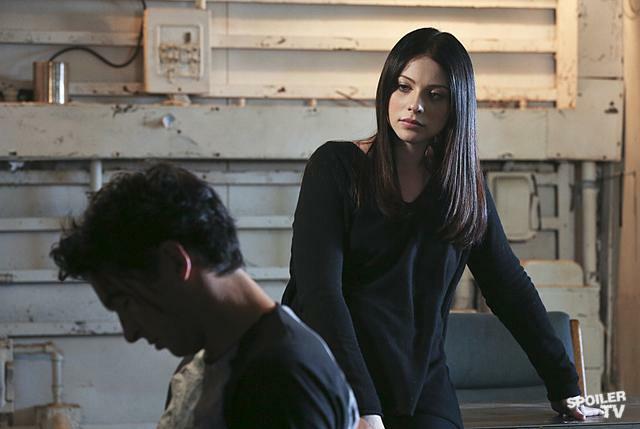 I have just watched the latest episode of Criminal Minds, called Zugzwang. It blow my mind away! Not only was it a Reid centric episode with total focus on Reid, it was very different from what we are used to. I was happy that they realised that they could do a great episode without lots of torture scenes. It contained a unsub that was crazy and horrible without all the blod-screams-tears-all-over-the screen! Reid was given a lot of screen time (of course) and it really allowed Matthew Gray Gubler to show what a great actor he is. He did a terrific job and we got to see new sides of Reid since this was such a traumatic and emotional experience for him. He truly loved this women who he never meet in person, and then the producers just go and kill her!! !He did not get time to be with this women, he loses her as fast as he gets her. How could they? Reid was happy for once in his life and they destroyed it. I can’t see how he will recover from this and I think that he really deserve the happy “fairytale” ending! The worst always happens to him! Despite the heartbreaking ending and a devastated Reid, this episode keep a high-class and the ending showed what a great series it is! Any other series would have let her live, and by killing her they really shocked the fans ( at least me). I was hoping until the end that they would both come out alive. I did not care about Diana since I don’t like Michelle Trachtenberg, actually it is not her I don’t like, it is her evil character on Gossip girl xd Also, this ending allows for further development with Reid’s character. I believe this event will change him and we will probably see a change in his personality after this. But, I am afraid that this will destroy him! We will see how long time the producers will give him to mourn before everything is back to normal, which it alway gets in the end xd I cry each time I watch the ending it is so horrible and perfectly done by the writers and producers. It was a while ago since CM brought tears to my eyes. This episode was a happy surprise since I think the series has lost some of its charm. This was a great warm-up for the next series that finally is back from the brake. I only need to wait until tomorrow morning until a new episode of Supernatural airs! I am almost shaking with excitement and from what I seen of the promo, I believe that we will not be disappointed! This entry was posted in Tv series and tagged Criminal Minds, Criminal minds season 8 episode 12, Matthew Gray Gubler, Michelle Trachtenberg, Reid's Girlfriend, Spencer Reid, Zugzwang.